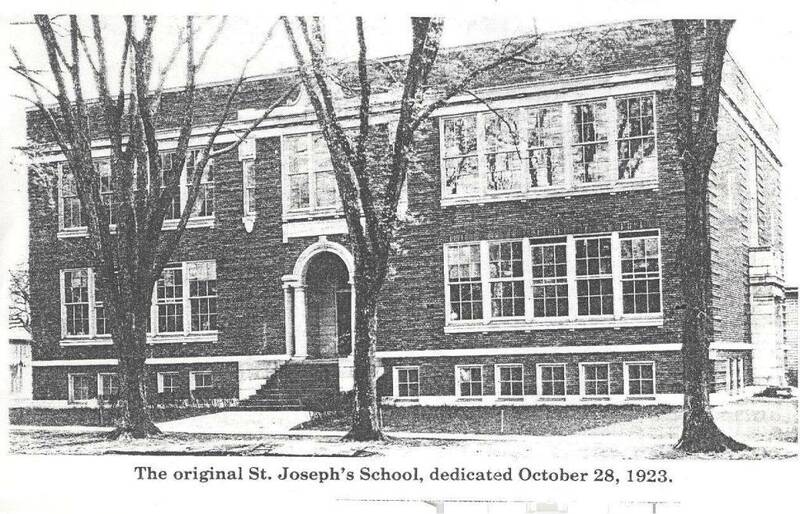 St. Joseph School officially began on September 17, 1923. Because of construction delays, the school building was not ready for occupation, so classes had to be held in the church. On October 28, 1923, the school building was dedicated. It had four classrooms ready to meet the needs of the 185 students. The staff at that time consisted of four teachers, all Sisters of Charity of Saint Augustine. The following year the school reopened with the second floor completed and an attendance of 230 pupils. 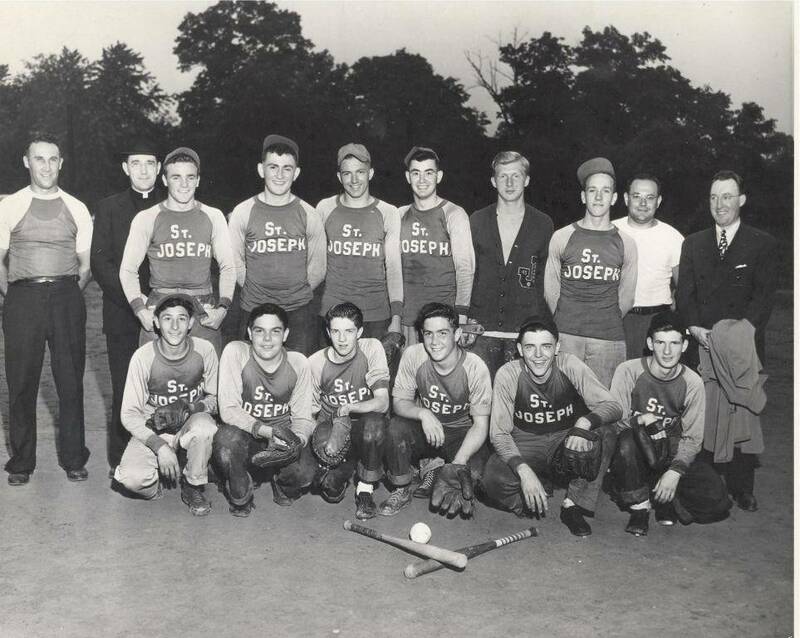 St. Joseph's Home and School League was formed in November of the year 1928. At the December meeting “It was agreed that a series of parties would begin in January for the purpose of raising funds for some things needed in and around the school.” That marked the beginning of the Home and School Association and it continues as such to the present day. In 1947 the middle section of the school was added (Lillis Hall). It consisted of a library, visual education room, and three classrooms. At the same time the cafeteria was enlarged. The addition of the third section (Gallagher Hall) was constructed in 1951. This added 12 more classrooms, 1 sewing room, and 2 small offices. The final addition (Jones Hall), consisting of the gym and nine more classrooms, was built in 1960 in anticipation of enrollment growing from the then 1,200 students to 1,700. In 2005, the technology lab was added. It included 30 HP computers in the lab all functioning on a new terminal server, new HP color laser jet printer, and new fiber optic cabling. These features enabled the teacher and students in each individual classroom to use the computers in conjunction with the computer lab. 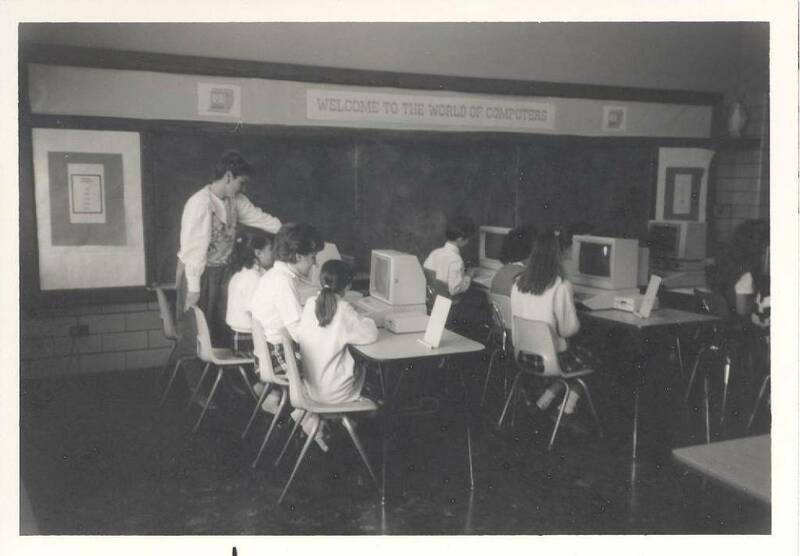 Classrooms were also outfitted with Smart Boards to enhance the students' learning. Over the past decade, upgrades were made to the interior of our school with the renovation of and purchase of new tables & chairs for the cafeteria (Good Shepherd Hall) . Recessed lighting was installed in the gym. The video educational room (The St, James Theatre) was updated with a new video system including surround sound and an automatic projection screen. New seating and new carpeting were also installed. Fifty iPads were added to the technology lab, which made our technology portable and easy for students to use in all classrooms. 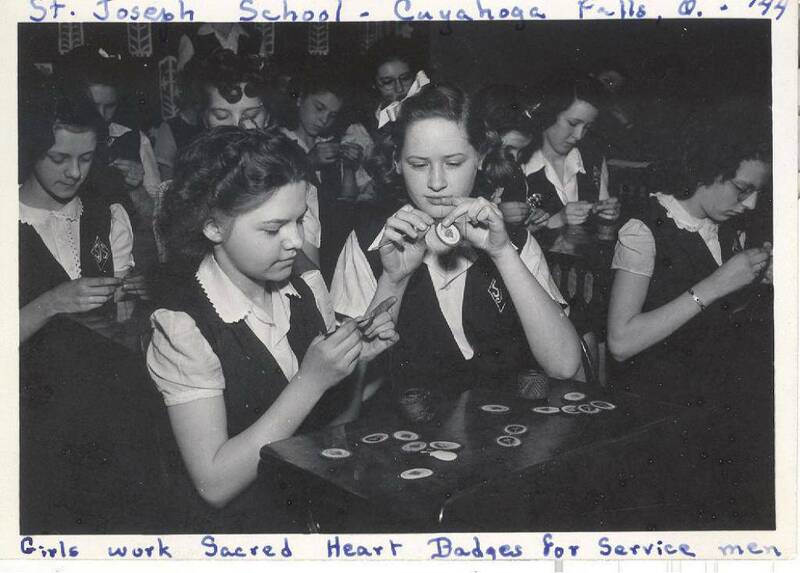 Lastly, the St. Joseph Network (SJN) was born. Our 8th graders create morning video announcements. They keep students and staff informed on the daily Gospel readings, school news, weather, sports, lunch menu, and much, much more. In 2015, it became apparent 1:1 student to device ratio was the best approach to supporting technology in the classroom. After much research, a plan was created to supply Chromebooks to students beginning with the 7th & 8th graders. In 2016, the first set of Chromebooks was purchased and Google Chrome with Google Suite for Education was added as the preferred software. By 2017-18 school year, all 6th, 7th, & 8th grade students were outfitted with a Chromebooks, and Chromebook stations were added to the 3rd, 4th, & 5th grade classrooms. Also other building renovations took place in 2017. A new gym floor made of polyurethane was installed to help minimize student injuries, especially concussions, during sporting events. An X-STREAM learning lab was added to supplement both our Problem-based and Project-based learning modules. And a junior Makerspace was created in our Early Childhood Learning Center that houses preschool, preK, and Kindergarten. During this 95th anniversary of St. Joseph Parish School, we are able provide the best school environment for our students. Besides our homeroom classrooms; our school provides a science lab, junior science lab, theater, art lab, library, music room, band room, gymnasium, junior makerspace, X-STREAM lab, technology lab and cafeteria.